Attractions in Malaysia stand like giant beacons, drawing international visitors in droves. 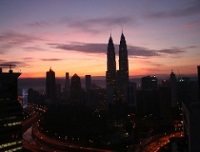 Modern, urban Malaysia, particularly the capital city of Kuala Lumpur, has lots to offer tourists and expats. The Petronas Towers in Kuala Lumpur are the tallest twin towers in the world and are beautifully designed. Both the National Mosque and Kuala Lumpur Railway Station are other great examples of the city's architecture. The bright lights, sense of a bustling business world, and fun nightlife attract many. 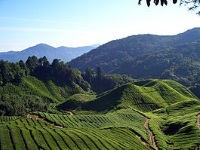 However, things to see and do in Malaysia aren't limited to modern landmarks, as the country's natural attractions are even more beguiling. 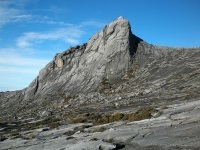 Mt Kinabalu towers over the Malay landscape, which includes the Sepilok Forest Reserve and the islands of the Tunku Abdul Rahman National Park. 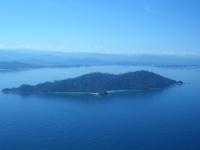 Great Malaysian island destinations include Tioman, Langkawi, Sipadan, and the Perhentian Islands, all of which are nearly deserted by visitors over the monsoons season between November and January. One of the world's largest limestone caves is visitable at Niah National Park. 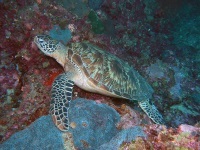 Unspoiled forests, incredible wildlife, lovely beaches, and some of the best scuba diving in the world are some of Malaysia's greatest assets and make it an exciting travel destination for those seeking out adventurous, outdoor fun. 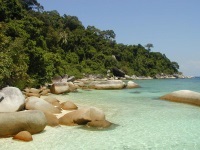 We are looking for contributors for our Malaysia travel guide. If you are a local, a regular traveller to Malaysia or a travel professional with time to contribute and answer occasional forum questions, please contact us.